“An in-depth look at the X’s and O’s behind the 2017 Eurobasket Tournament…” Check out the Slovenia Coach Igor Kokoskov (NBA Utah Jazz Assistant) that won it all! Slovenia and Head Coach Igor Kokoskov was supposed to be an afterthought and not win the 2017 Eurobasket Tournament. They had Luka Donic that is talented and will be on an NBA roster next season, but Goran Dragic was the only NBA player on their roster. Most experts had Ukraine beating them in the first round. The Slovenia team lead all teams in offensive efficiency in the 2017 Eurobasket Tournament. They beat Latvia – Kristaps Porzingis and Davis Bertans, and a Spain team comprised of Pau and Marc Gasol, Willy and Juancho Hernangomez, Ricky Rubio, and Alex Abrines. They beat the Spain team by 20 points. Igor Kokoskov has a reputation as one of the most well-rounded coaches in the NBA, as well as one of the most experienced. Quin Snyder calls him one of the most respected offensive minds in the NBA. He is also an excellent skill development coach that is recognized by the veterans in the league. Kokoskov’s offense has a heavy emphasis on point guard play because he wants his point guard to be making the decisions. Mike D’Antoni and Alvin Gentry call him “one of the brightest minds in the NBA.” Former player, Earl Boykins loved Kokoskov’s point guard-focused offense. He trusts and relies on his point guards offensively. Kokoskov was instrumental with Steve Nash and Goran Dragic. His offense is very efficient in points per game and sharing the basketball. That is just one part of the 2017 Eurobasket Tournament Playbook! 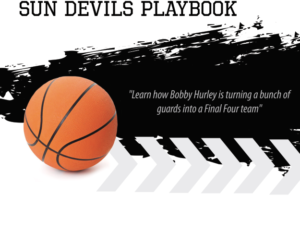 You will learn all the adaptations that you need to implement all these tactics to give your team a chance to score clean layups! Over 125 plays from the 2017 Eurobasket Tournament! Surprise your opponents with new action after Christmas break!